West Palm Beach, FL - Florida staffing agency, Labor for Hire, recently retained the digital marketing services of THAT Agency to expand their brand presence throughout the state of Florida. 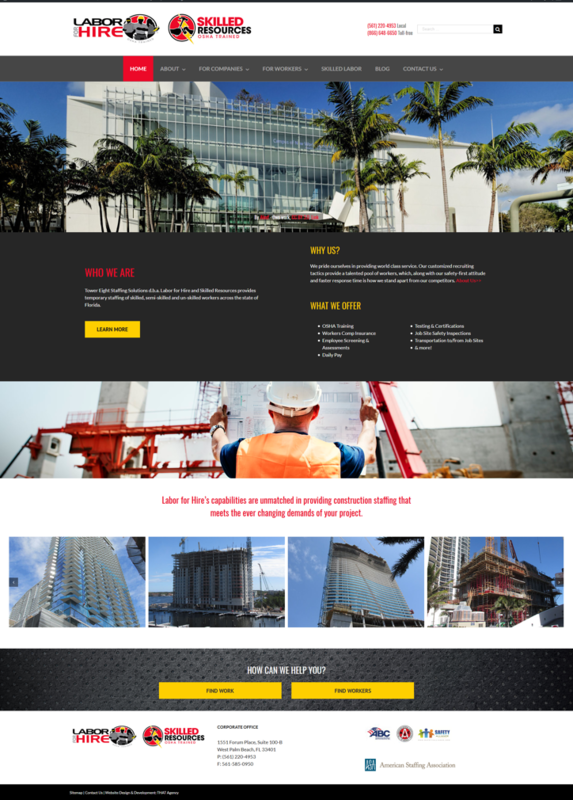 The relationship began with the design and development of a new, mobile responsive, website with a goal to attract both laborers, as well as companies in need of laborers. With the website’s dual purpose, there was a lot of thought put into UX/UI, structuring clear paths to conversion for each type of website visitor. The website was developed on the open-source content management system (CMS), WordPress. It features a custom full-width theme, clear conversion paths with strong calls-to-action, and the ability to manage new job listings as they become available. Additionally, the content is all easily manageable via the CMS, giving Labor for Hire the ability to quickly modify anything within. 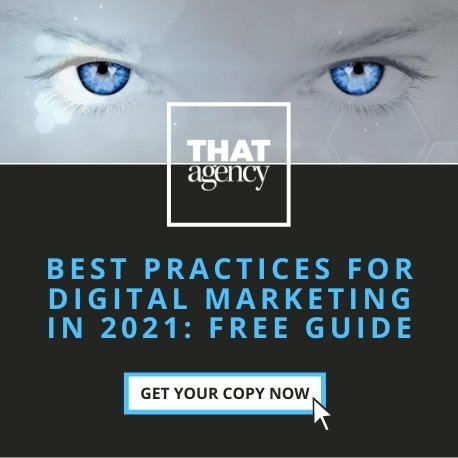 As part of an overall digital marketing plan, the new website was optimized from top to bottom, maximizing it’s ability to rank well within search engines. This included, but is not limited to, keyword research, content optimization, meta creation, 301 redirects, creation of HTML & XML sitemaps, and internal link structure. Tower Eight Staffing Solutions d.b.a Labor for Hire and Skilled Resources is an independent staffing company which provides skilled, semi-skilled and unskilled contingent workforce to the construction industry. Labor for Hire supplies a broad market that fits within the scope of temporary staffing. In 1998, the founder of the company, Vern Vokus, realized several people were struggling to find temporary work, specifically during economic distress. Upon realizing the desire to reach out and lend a helping hand, Vern set out to create what has become a leading temporary staffing company, Labor for Hire. With over 19 years of quality, dedicated service, Labor for Hire has grown significantly, providing temporary staffing in several areas across Florida, including but not limited to: West Palm Beach, Lake Worth, Delray Beach, Boynton Beach, Hollywood, Pompano, Miami, Miami Gardens, Tampa, Orlando, Naples and now Jacksonville. For more information about Labor for Hire, visit the new Labor For Hire site or call (561) 585-9859.